New Democracy cited a Bloomberg report saying Novartis in an internal audit found no kickbacks to Greek officials. ND for over a year has argued that the whole affair is a conspiracy. In February, 2018, Alternate Justice Minister Dimitris Papangelopoulos told Parliament that the Novartis scandal is the biggest since the founding of the modern Greek state in 1830, even bigger than the Siemens scandal. One year later, the Novartis affair is turning into the biggest fiasco for the SYRIZA government. Bloomberg’s revelation on 20 March that following an internal audit instances of kickbacks to politicians and government officials were not found was the most recent confirmation of the government’s fiasco, as main opposition New Democracy put it. “Novartis AG said its own internal investigation found no evidence of bribery to Greek officials as an upcoming election puts the Swiss drugmaker back in the spotlight,” Bloomberg reported. 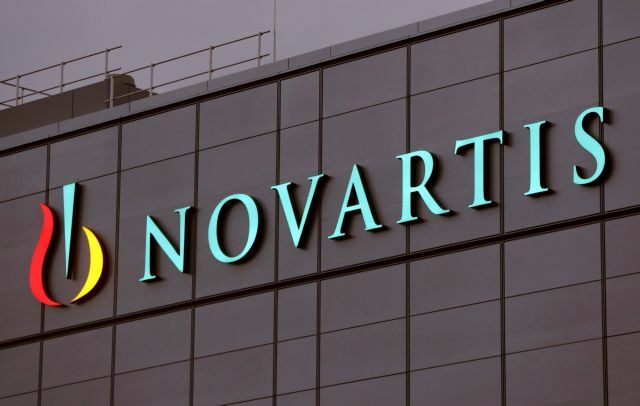 “Novartis didn’t receive preferential pricing from the Greek state and to date has been unable to identify any ‘inappropriate payments’ to government officials," a local spokesperson said in an email,” Bloomberg stated. New Democracy cited the Bloomberg report as for months it has argued that the government made the whole thing up in a conspiracy. “After the Novartis case which from the ‘biggest scandal since the founding of the Greek state’ turned into the biggest fiasco for SYRIZA, the government tried to exploit for communications reasons the judiciary’s sending to Parliament the case file on medicines rebates,” ND said in a statement. “Entirely coincidentally, Bloomberg had reported slightly earlier on Novartis’ probe (internal audit) from which absolutely no evidence of the bribing of politicians emerged. Might this report also be fake news?” the ND statement concluded. Government leaks over many months about the jailing of suspects, bank accounts abroad, and the bribery of politicians which will blow the political system out of the water all proved to be nonsense. The judicial probe is ongoing but prosecutors have been unable to back up charges against ten politicians who have been implicated in the case. Those implicated include former PM Antonis Samaras and ex-caretaker PM Panagiotis Pikrammenos, Greece’s central banker Yannis Stournaras (a former finance minister) and Greek European Commissioner Dimitris Avramopoulos (a former health minister). Judicial sources say that accounts or traces of political black money were not found and that the same stands true of charges that doctors were bribed. Despite all that, the government insists on playing political games and on keeping the case in the limelight with an eye to electoral gains, the opposition insists. The PM’s office, critics believe, has been trapped in the logic of Alternate Health Minister Pavlos Polakis, who told a SYRIZA party conference that certain (unnamed) people must go to jail on corruption charges in order for the party to win the next general election.